What is “Persistent post-infectious cough”? Also known as PPC, it is the most annoying cough that remains after a common cold or an upper respiratory tract infection, for more than three weeks. This cough is expected to last for only one or two weeks, but persists for more than 3 weeks and up to many months. PPC is reported to 11–25% of all cases of chronic cough. What are the symptoms? Persistent tickling or irritating sensation in the throat which leads to paroxysms of coughing. PPC is stimulated by cigarette smoke, chemical fumes, aerosol sprays, dust, perfumes, drinking, eating, talking, laughing, and breathing cold air. Usually it is treated with powerful drugs, many of them having serious side effects, including codeine and dextromethorphan (known as centrally acting antitussives), antihistamines, narcotics, and bronchodilators. But not the fact that we have to take them is the problem. It is not that difficult to buy some and swallow them. The problem is that THEY DON’T WORK! We keep trying them, one at a time, continuing to cough and cough, day and night. Of course there are always the folk remedies, our eldests know them better, raging from onion broth to the star of the study in discussion here, honey and coffee. The scientists heard about this old folk remedy coffee and honey, and decided to reveal the truth. From 2008 to 2011, at the Baqiyatallah University Hospital, Tehran, Iran, a team of researchers conducted a study on 97 adults, having PPC for more than 3 weeks. The first group received a jam-like paste consisting of 500 g of honey and 70 g of original instant coffee (honey coffee, HC). 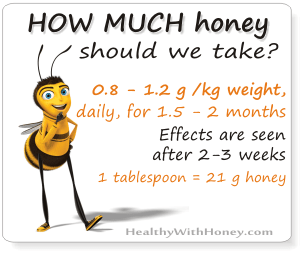 This means that each person took 20.8 g of honey and 2.9 g of coffee three times daily. The second group received 320 mg prednisolone (steroid, S) Each person took 13.3mg of prednisolone, three times daily. The third group received guaifenesin (placebo/control, C). 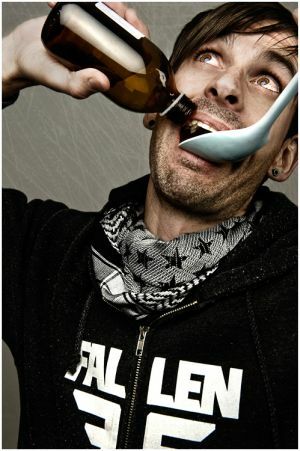 Each person took 5g of guaifenesin, three times daily. The participants were told to dissolve a specified amount of their product in warm water and to drink the solution every eight hours, for one week. The researchers team said: “Analysis of variance showed a significant difference between the mean cough frequency before and after treatment in the HC group versus the S group (p< 0.001). 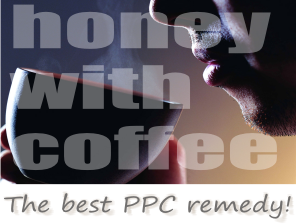 Honey plus coffee was found to be the most effective treatment modality for PPC. ” The treatment is safe and effective. Because honey is a well-known medicine. Known since 3000 BC, mentioned in the Bible and other holy books. Mentioned as a curative for human illnesses in the Quran, 1400 years ago. Nowadays honey is used especially for respiratory problems. 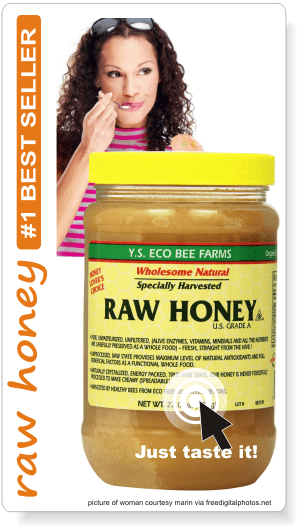 Even the World Health Organization recognized honey as “potential treatment for cough and other URTI symptoms”. The composition of honey is yet not completely discovered. Among the 200 substances we managed to discover thus far: sugars (fructose, glucose, maltose and sucrose), minerals, proteins, some vitamins, organic acids, and antioxidants (phenolic compounds, flavonoids, enzymes, carotenoid-like substances, amino acids, and other phytochemicals). Honey stimulates epithelialisation stages, tissue regeneration, and improvement of granulation and debridement which, in turn, accelerates tissue repair and leads to wound healing. The best honey for skin damages remains manuka honey. 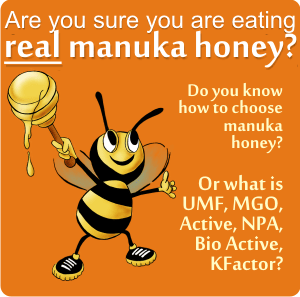 · Manuka honey – THE BEST to treat wounds, burns, skin infections. · Revamil medical grade honey. Comparison to manuka honey. or see all article written on medical grade honey. If you understand this, please read here the entire article. All I know is that they explained it after the true reality was proved. In the end, all we need to know is that it works! If you had a cold and got stuck with an annoying cough, for more than 3 weeks, try what you already like a lot: coffee. Take 1 tablespoon of honey (21 g) mixed with half teaspoon (3 g) of instant coffee, in a glass (200 ml) of warm water, 3 times a day, for at least 1 week. Considering the amount of coffee, it is recommended only for adults. DON”T GIVE IT TO CHILDREN! There are different remedies for them. One of the best foods that fuel your brain! Garlic – friend or foe? The article “Honey and coffee for persistent post-infectious cough” mentions other drinks with caffeine (e.g., tea, chocolate). Has there been a study to test if the effectiveness is the same (or nearly the same) as with coffee? Is the effectiveness correlated with the amount of caffeine in the drink, or the type of drink? It seems it’s all in the caffeine combined with honey. Caffeine is found in coffee but also in tea, cola drinks, and cocoa. It is bronchodilator which is enhanced by honey. The study was done only with coffee, I don’t know of any other studies implying cocoa or tea. But of course the dose is important and coffee contains a more relevant amount of caffeine. What kind of honey is good? 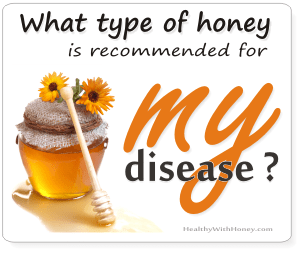 You can find some on them listed here: What honey is the best for me? As a rule, for immunity and respiratory problems, cough in particular, raw dark honeys are the best (they have the highest antioxidant power). Can this be given to kids of 7 to 8 years? No, Sagar. Never coffee to a kid. Of any form. Honey and warm milk before bedtime for dry PPC. And for wet cough try to give him propoolis tincture alcohol free. Here is an example from Turkey and here one from Canada. Or ask a local beekeeper for an alcohol free propolis extract. And another very good natural treatment, very easy to make is honey and onion. Find it here: The onion honey cough remedy. And other natural remedies with onion.. This works. I had persistent cough from a Fall allergy last year, and read about this remedy. After 2 months of hacking my head off and nothing working, this was the only thing that relieved my cough. My cough just started again with the weather change. I started my coffee/honey regime again, and have already experienced relief. Hi Donna, thank you for sharing your experience here. This remedy also worked for me, though I didn’t have a severe form of cough. I had only 2 cups of coffee per day, in the morning and at noon, and I skipped the evening one. I was afraid I couldn’t sleep after it. But it still worked. As a coffee lover, this article is really helpful mainly because of the coffee. I’ve never tried honey with coffee but it does sound interesting! I can imagine the flavour already, can’t wait to try! Great article as always Laura, keep up the good work! Yes, try it, you won’t be sorry. But remember not to boil the honey. Put it immediately before drinking it. Well, jokes aside, this is really amazing you know? That coffee and honey could cure a persistent cough!! Hi Laura. Again you deliver very informative information. I had no idea that coffee and honey had such positive effects on a persistent cough. Will try this in future. Thanks for the advise. Natural remedies are always better! Honey is the ultimate cure in my opinion. To be honest, I`ve never tried this combination before but I will definately try it. Thank you for providing this information! Natural remedies are cheap and pleasant. Not to mention with less side effects. It’s such a pity we don’t know about them. What an easy and helpful concoction! And who doesn’t like honey or coffee? I actually need to try this right now. Very nice, detailed and thorough article here. 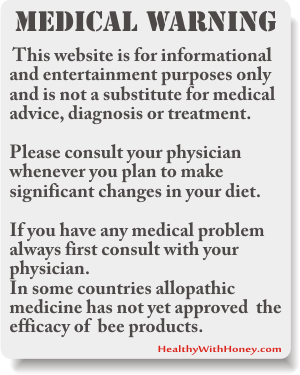 Great info really, I had no idea about the medicinal properties of honey! I will definitely be trying this in the future if I get ppc. Honey is also food and medicine. There are countries that recognized it as remedy, like Germany or Switzerland, and others that completely deny honey’s effects on our health. Thanks for stopping by. Thanks for this tip. I heard people talk about using honey for sore throats, but I never understood why it helped. Coffee and honey! What an awesome idea. I will certainly try this when the time is needed. Actually, I might try it now to see what it taste like. I perk my coffee. Think this should work fine too? I can’t see why it wouldn’t..
As you say, I can’t see why it wouldn’t work. It’s coffee with caffeine. The study was done with instant coffee, but I think it can work with regular, too.